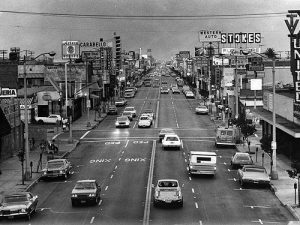 Hello and welcome to towing Los Angeles we have a large range of the la county that we service, you name, down town, south central, la, south gate, Lynwood, Inglewood. well be there.we have a 24 hour service so we could be with you at any day, place and time, we are open everyday even on holidays at every time.we are also very affordable and reliable for these unexpected situations. we are a towing company with various types of towing services including roadside services and winch out services as well. we have basic towing which is considered our light duty towing which normally we have two type of tow trucks available for this one is our wheel lift tow truck, that picks up your vehicle from one end of the side depending on what type of vehicle it is front wheel drive or rear wheel drive, this truck also carry special equipment for vehicles that are all wheel drives, then we have our flat-bed tow truck that carry’s as well the same but also motorcycle, and scooter. and we have another type of flat-bed which is called our medium duty flat-bed this trucks helps us with a little heavier vehicles like, lifted trucks, cargo and passenger vans,shuttles. and last we have our heavy-duty trucks that help us with RV, big rigs, motor homes, boom lifts, containers, and so on. but remember you can also request a roadside service like a tire change, car lockout, fuel deliver any type of gas, and battery jump-starts, as well as battery replacements and all these services are performed on site. we also have another service called our winch out which is mainly used for medium and heavy-duty vehicles, and what this service is we help get you out anything you can possibly be stuck on like sand, mud, dirt, driveways, trenches and so on we can help pull you and get you on your way. we are a highly recommended company and like I mentioned we are reliable service we are always trying to make this fast, easy and affordable just for you. and yes affordable as well we know most of these issues happen unexpectedly that is why we are always trying to be the best fit for you and your wallet so you don’t have to feel like your buying a new car for a tow. we have professional and certified technicians ready to assist you at any time, like I mentioned we are a 24 hour service everyday of the week. that is why we have friendly dispatcher to help services you at all times any time of day just give us a call and we be happy to assist on any question. 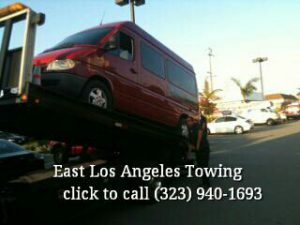 Thank you for visiting East towing la we are happy to have you be interested in our service. We are one of the largest towing service that covers a big log area of la county. We are a highly rated company and are also very reliable. We help you with any types of towing service light duty towing East LA, medium duty towing, and heavy-duty towing in east los angeles as well. We also help with any road side assistance as well as winch out services. We are open 24 hours everyday of the week. So we are never closed we always have a professional and certified technician available to help you at any time any where like i said we do cover a big area of la. We also have our friendly dispatcher also waiting to assist you with any calls and get a towing truck out to you as soon as possible in east Los Angeles Area. Like i said we can help you at anytime as far as light duty towing we have two types of tow’s trucks that can help assist you with that for any cars, SUV, trucks, nothing to major regular tow are wheel lift truck and our flat-bed truck could help assist you with that. We also have medium duty service that can help with for example any dodge 1500 or ford f-150 dully, even small passenger vans, and small cargo vans as well. And for our heavy-duty service we can assist with any tractor trailers, rv, motor homes, even some type of big equipment. We can assist you with anything you could possibly have. We also provide roadside assistance for any type vehicle like for example left your keys inside your car we can help, ran out of gas we can help. We have these roadside services car lockouts, tire changes, fuel deliveries, jump starts and even battery replacements. We even have winch out services which is we help pull you out of anything you could possibly be stuck on. WE SERVICE ALL OF LOS ANGELES. If you are ever stuck in a predicament and you are in need of a towing and roadside assistance service we are always available to provide you with real time service at all times of the day and the night. Our services are trusted and for many years, year after year, we have been rated as the #1 company for towing and roadside assistance. We specialize in all aspects of roadside assistance and towing. There is no such thing a job that we cannot do, or that is too complicated for us to do. We have technicians who are skilled in everything towing and roadside assistance. All of our technicians are screened and have passed the necessary requirements and have the necessary certifications to be able to provide their services. We believe in only hiring the best of the best. Towing and roadside assistance is a field that requires sensitive work. Often times we work with high profile and expensive vehicles, that is why we make sure that we hire towing providers with many years under their belt! We have the necessary tools and all of the right equipment that will be able to assist us with the job in a manner that is appropriate, safe and efficient for the towing and our other provided services for you vehicle. Safety is our number one priority here at our company! We believe in the safety of your vehicle and most importantly we believe in the safety of you. That is why we are extremely prompt when it comes to our arrival times for our towing services. We will get to you and get you over to your destination with the fastest services possible! towing east los angeles is here to assist you!